The UK’s Vaudeville Productions have agreed an SVOD worldwide distribution deal with Netflix to screen three Derren Brown specials, kicking off on Feb 27 2018 with DERREN BROWN: THE PUSH, Brown’s controversial experiment in which he exposes the psychological secrets of obedience and social compliance. 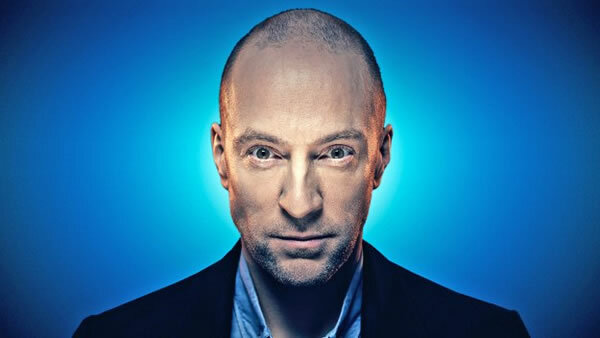 The other two specials are a televised version of his celebrated live show DERREN BROWN: MIRACLE and a brand new special, the details of which are currently under wraps. Andrew O’Connor, Exec Producer for all three shows, said today: “We are excited that Derren’s fans all over the world will now be able to see his shows on Netflix”. The deal sees Brown’s profile in the States continue to grow. Alongside the three specials, the renowned psychological illusionist, plans to bring his critically acclaimed live stage show DERREN BROWN: SECRET back to New York in 2018 and to tour the US nationally in 2019.